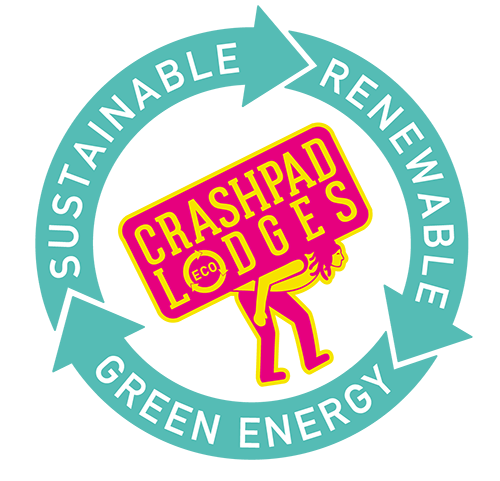 For the past 4 years that we have ran Crashpad Lodges the month of December is a particularly quiet time for bookings. We take many enquiries but bookings are low. Our high season, like most other hospitality businesses runs from the months of March to September and the one major habit we have learnt is that for our business to survive we must save a proportion of these takings to cover our low point. However having a low point is not so bad. It provides an opportunity to reflect, take account of stock and plan for the future of how to improve the experience that we are providing for our guests. But too much of a low point can get unnerving. Crashpad in the summer is amazing, like no other place on earth. But Crashpad in the Winter, typically our low season, I believe is even more magical. There is no feeling like stomping up Snowdon, literally our back garden, coming into a warm lodge, to a warm shower and a good old drink and stew. You feel alive. Your lungs feel full and fresh and you sleep like you have never slept before. Then there are the night skies at Crashpad Lodges which in the winter is lit by millions of sparkly diamonds – clusters of stars as far and wide as the eye can see. Sitting around the outdoor fire pit lit by fire and stars and only the sounds of the crackling fire. My big hairy audacious goal* for next year is to be prepared ahead of winter and communicate why guests should Crash in the winter. To prove why Crashpad Lodges in Winter is magical, even more so than summer. My aim is to re-brand our seasons from “low season” or “low point” to the starry season, or the salmon slalom (the winter months when the salmon swim from the mountains past the stream at Crashpad). High season to the foxglove foray, the newborn leaping lamb season and the sunburnt Snowdon in the hottest months. I may tame it down from these suggestions but it could be fun!. So my goal for next year is to ensure that our business, our friend, our member of the family is loved, even more so when it is low point to bring it up. I truly believe that the best ideas are born from times or hardship or worry, strange as it may sound. How have you turned a low point into a opportunity – I would love to hear. As a side note a big hairy audacious goal or “BHAG” is a term used by Jim Collins in his business book “Good to Great” which I recommend highly. Its a great term used to describe a business statement similar to a vision statement which is created to focus an organization on a single medium- to long-term organization-wide goal which is audacious, likely to be externally questionable, but not internally regarded as impossible. A bit like my salmon slalom idea I guess.